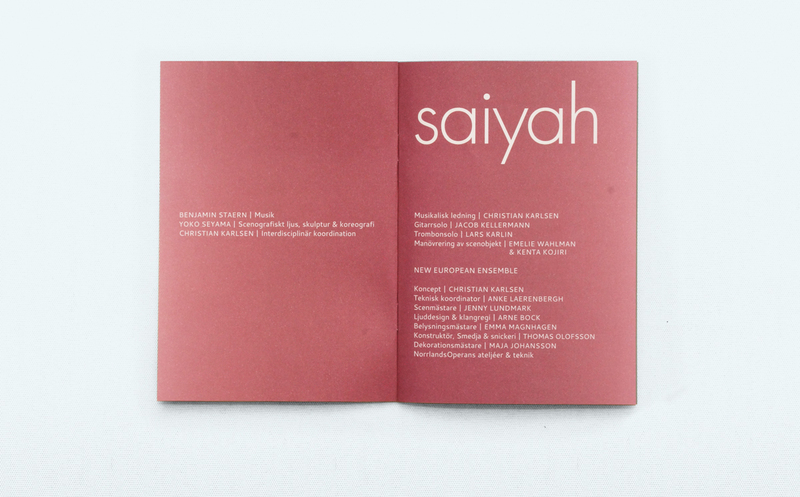 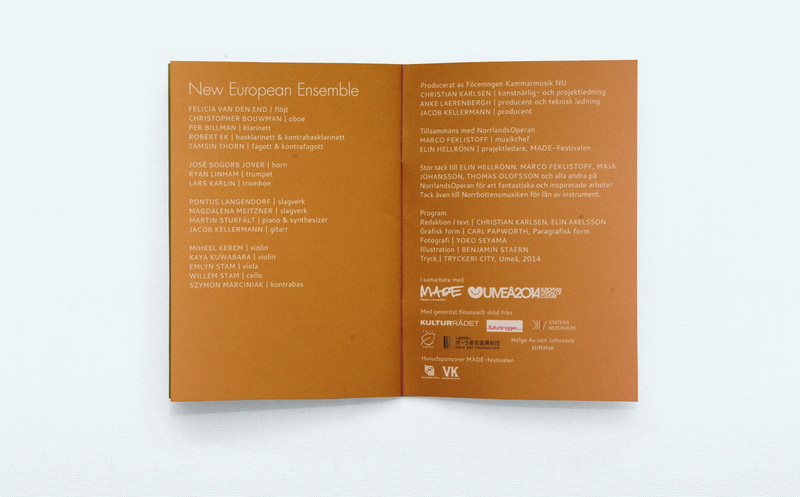 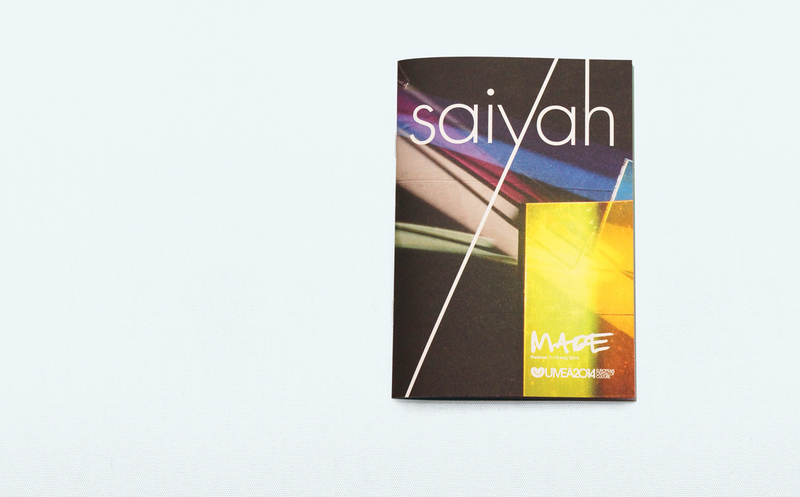 The koncert Saiyah had its premiere at the MADE-festival in Umeå, spring 2014. 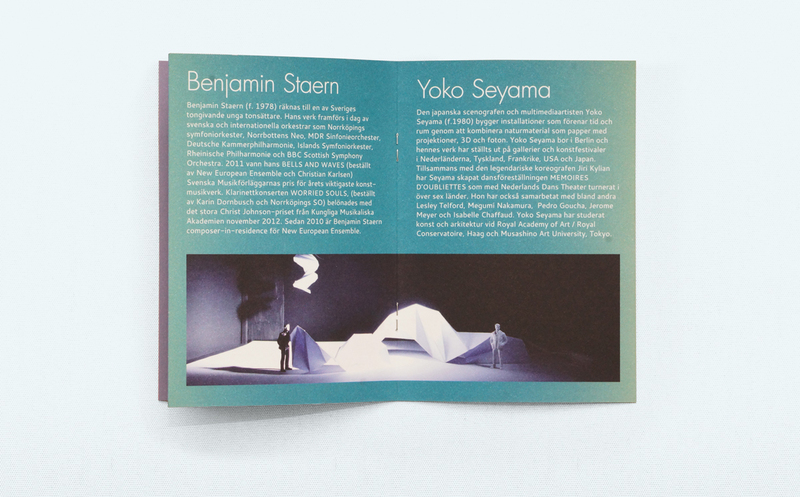 The koncert was composed by Christian Karlsen – one of Swedens most prominent young conductors – with music from Benjamin Staern and a expressive light show by the japanese light artist Yoko Seyama. 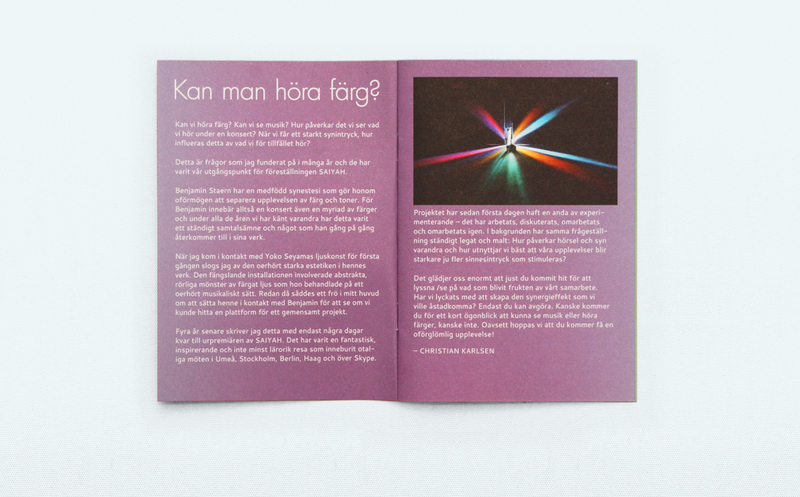 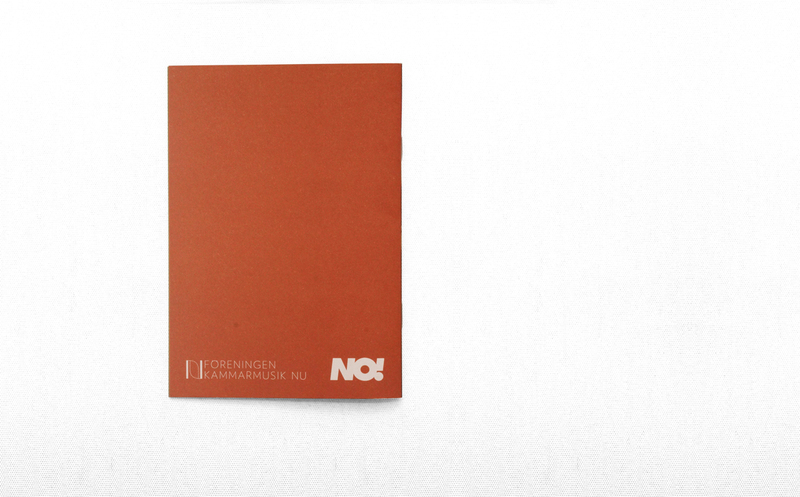 Inspired by the colour theme of the performance, the pages in this program was decorated with gradients from a vast color spectrum.